Both common people and employees buy and use “consumer market” devices at home and office. But when they overlook the right use of their devices – the exploitation of IoT technology begins. It not only associates with the routine use of personal electronics at work — like smartphones, personal computers, and tablets — but also involves internet services, including online data storing, webmail, and social media channels like Facebook, Twitter, and LinkedIn. But the problem begins when the consumers don’t follow precautionary measures or seek a security approval from the related organization. It is an often overlooked blunder and with 24 billion IoT devices in the future, suggestively, we will stand nowhere to tackle the scandalous security menace. The expected surge in IoT devices has given rise to greater threats towards private and sensitive data exploitation — while Samsung and Roku Ultra smart TV hacking and the Meltdown/Spectre bugs episode have just contributed their parts in the cyber mayhem. Similarly, as smart enterprises recognize IoT’s ability to collect valued information, countering the technology, cyber attackers and hackers are using vulnerable devices as entry points to access private data that lies within a distributed network. Highly aware of the severity, we have created a complete guidebook that can ensure your company’s IoT Security. Control how you connect to the guest networks — as the firewall-protected IoT security allows you to restrict external traffic, prevent crossing over to your central network, and outline traffic orientation to recognize anomalies. Also, cope users’ access to the IT cloud devices, use strong passwords and usernames and never go for default settings and passwords. It is normal to see businesses use external IoT service suppliers such as remote security monitoring authorities for installing and managing IoT processes. Such outside devices make your internal system vulnerable and can lead to a security breach. Thus, requires to be supervised. When the device is not part of an IT organization, the IoT service is liable to assure the IoT protection. IoT connected devices can also be exploited by the employees when they buy, use, and connect devices without informing the authorities. This way, the company’s sensitive information becomes easy to target. 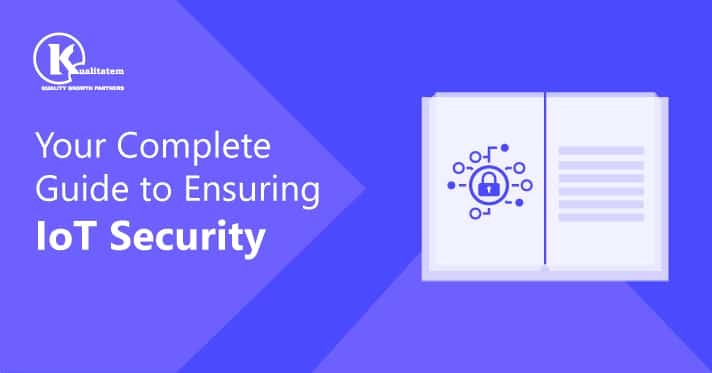 Hence, businesses need to strictly inspect their access management systems as well as supervise the activities of users, employees, and managers. IoT devices are able to store very sensitive data such as videotapes, sound recordings, screenshots, images, etc. Thus, it is necessary to stick to privacy laws and legal regulations in order to effectively imply IoT technology. If you are incorporating IoT security, it should enable the organizational authorities to detect any hacking attempts and inspect them in the real-time possible. IT organizations design security solutions to fight a cyber-breach at the quite right time. Likewise, IoT device hacking is somehow easy and requires proper implications, therefore, IT companies must map a security plan to act speedily in case of an unlikely incident. IT security entails CIO/CTO, business management, operations, IT, physical security (CSO) and other relevant stakeholders that help in designing a perfect security protocol. In conclusion, we all know that IoT devices and security risks go side by side – and no security expert has created an unbreakable security solution for us till date, however, this upfront guidebook to IoT security can help you alleviate the risks and level up your whole security system.